The Art of Chris: A...lot...more...HEADS! Another character design assignment. 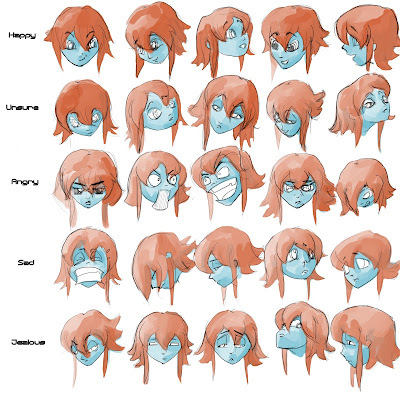 five emotions, five different expressions of each = a LOT of heads.